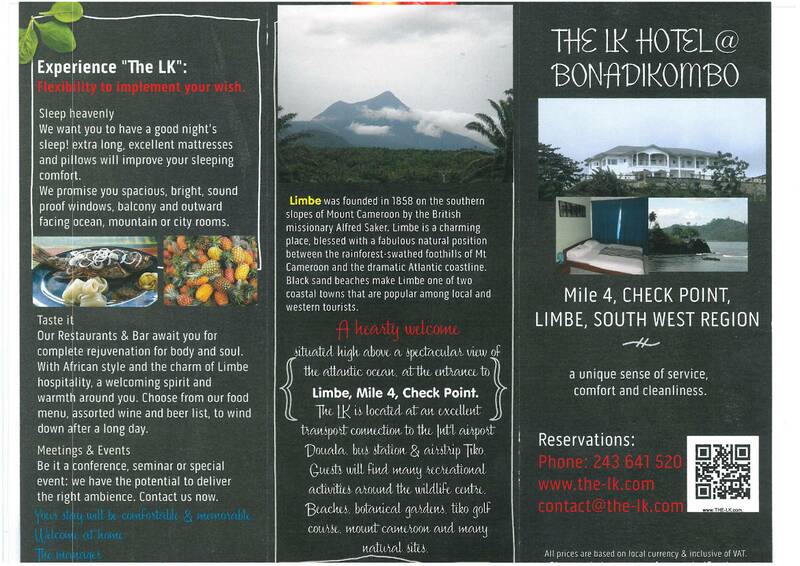 Welcome to THE LK Restaurants & Bar, the place to be in Limbe. We offer a prime ocean front location with Limbe best view from the top hill. We will serve you with amazing local bites and the bar serves up the coldest beer (guaranteed) and imported wines. Breakfast, lunch, dinner or after work. Drinks, small plates or a full meal, we have it covered – not to mention the quiet point to view “Victoria”! Restaurant & Bar – great food, cold beer, amazing views!